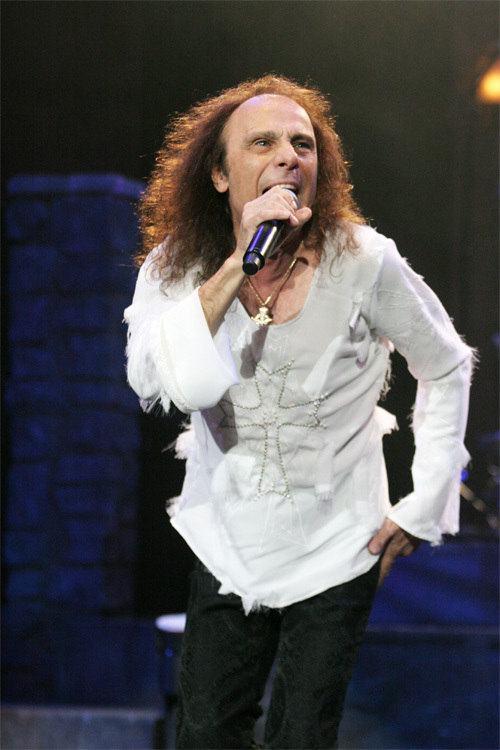 I was doing so well this month posting albums reviews and catching up on my listening…..then Ronnie James Dio passed away and I’ve been a little “off”. Not sure what the deal is but when RJD passed away, I didn’t really feel like listening to music all that much. I still bought things though so I figure today is a good day to update what I’ve acquired…..
Casanova – s/t (1990/2010 reissue) – $14: I’ve had my eye on this reissue since Divebomb Records sent me the press release. I was hoping to get an advance copy but it never came so I started trolling online shops and Ebay. Found this sealed copy starting at 1 cent but it quickly moved over $10. One of the key selling points was the free shipping, the other was that the seller was actually an online store I order from often. 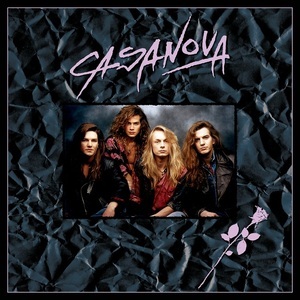 Good reissue here…..the original 1990 debut casanova album and 5 bonus tracks. Saved $6 with free shipping and decent price. 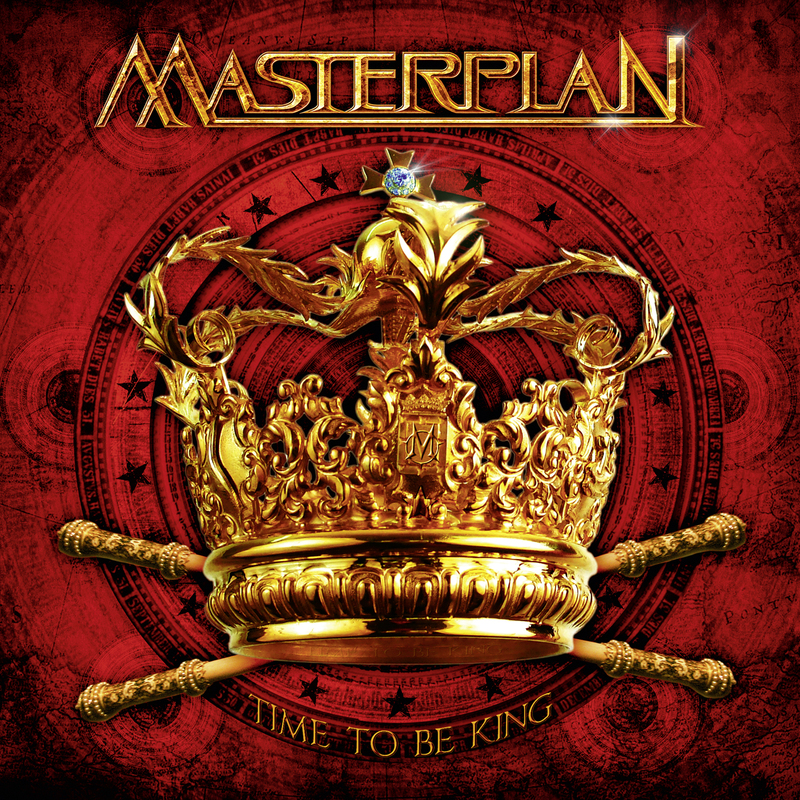 Masterplan – Time To Be King (2010) – $23: I paid a little extra for this with BUY IT NOW but the shipping was free and it was the same seller as the Casanova CD. The selling point here was the limited edition European digipak pressing and the bonus track ‘Kisses From You’. I had to have this album because Masterplan with Jorn Lande on vocals is a superb band and this CD is in the running for 2010 Album of the Year easily. Saved $0 (I actually spent a little extra!). 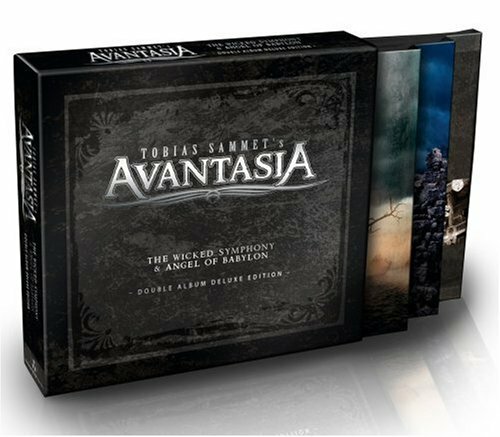 Avantasia – The Wicked Symphony & Angel Of Babylon box set (2010) – $23: The last installment of CD Scavenger Hunt was the “Buyer Be Aware” edition and I recalled a couple of quick purchases that I didn’t properly think through. I bought THE WICKED SYMPHONY but didn’t want to wait for ANGEL OF BABYLON so I returned it when i saw this limited edition box set for a $20 BUY IT NOW. The seller basically bought it, uploaded it to iTunes and put it on Ebay. This was a steal for me because I have seen this box set going for $50+ at online shops…..you get the limited edition slipcase and booklet, both album in digipak and codes for downloadable content. This was basically a used copy and when I got it in the mail, the packaging was shoddy so the slipcase got bent. The CDs and booklet are mint so I can live with a couple creases to the slipcase…..even though my OCD kicks in everytime I see it! Saved $30 compared with online retailers and free shipping. 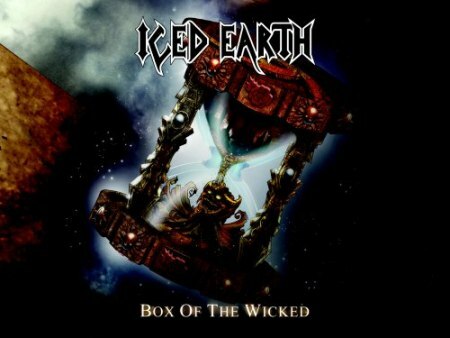 Iced Earth – Box Of the Wicked (2010) – $28: I have been a big Iced Earth fan since THE DARK SAGA (1996) and I try to collect all the singles and albums to keep the collection up to date. I didn’t really get into the post-Matt Barlow era starting with FRAMING ARMAGEDDON (2007) and I neglected buying a couple of the singles. When I saw this box announced, I wanted it! It includes both FRAMING ARMAGEDDON and THE CRUCIBLE OF MAN (2008), the OVERTURE OF THE WICKED single (4 songs) and the I WALK AMONG YOU single (3 songs). The bonus CD has 4 tracks with Matt Barlow on vocals, 3 live and a re-recorded version of ‘A Charge To Keep’. So I knock out both singles, replace the promo copy of CRUCIBLE and get a bonus CD. I’m sure there are more bonuses inside but I haven’t opened it yet, I think there’s a poster or something. Regular price was $40 so I saved $12 on sale. 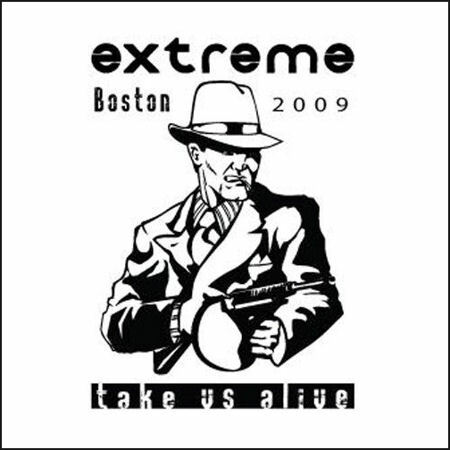 Extreme – Take Us Alive: Boston 2009 (2010) – $14 CD and $15 DVD: Extreme has always been one of my bands and always a local favorite here in rhode Island. I was trying to attend this show last summer but some things came up and I couldn’t make it. Now I get to find out what I missed! I bought both the CD and the DVD so I had the full documentation. They are identical performances but the DVD has four extra videoclips. Compared to online stores, the sale prices at Newbury Comics were really good. Regular price for the CD was $18 and the DVD was $20 so I saved a total of $9 for both. 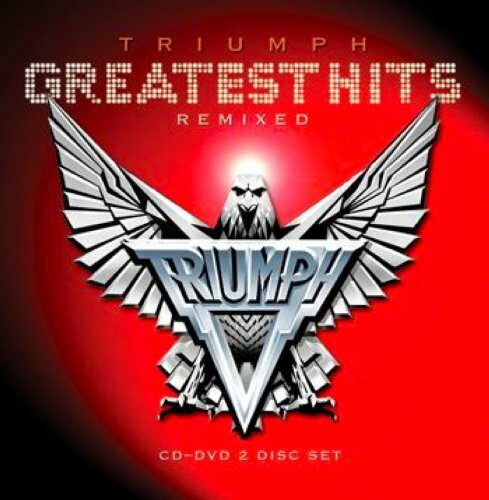 Triumph – Greatest Hits Remixed (CD/DVD set) (2010) – $12: Can’t beat a 14 song greatest hits CD with a 14 video DVD that includes the Canadian Music Hall Of Fame induction. That’s a lot of music for $12! I don’t have much Triumph in my collection, something I need to fix quickly, so this greatest hits compilation is a good starting point. The other thing is that the guys in Triumph are always up to date on current technology and Gil Moore and Mike Levine own their own studio so you know the quality here is top of the line! Regular price was $16, saved $4. 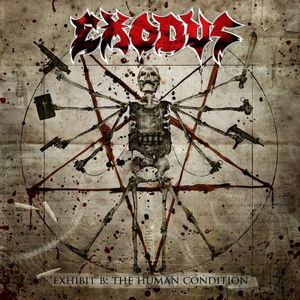 Exodus – Exhibit B: The Human Condition (2010) – $10: I love old Exodus but I haven’t really kept up with the band since Rob Dukes took over the vocals in 2005. I always mean to pick up a few of those albums but I just never seem to get around it but I saw the sale price on the new album and I figured it was about time I gave Exodus another shot. The extra good news is that I can pick up the albums I’m missing used for around $7-$8 each. Regular price was $16, saved $6. Stephen Pearcy – Under My Skin (2008) – $7 used: I’m a big Ratt fan but I haven’t really gone out of my way to pick up all of Stephen Pearcy’s solo work. I have all the Ratt and Arcade albums, I have Vertex and Vicious Delite but I have neglected the actual solo albums…..another problem I need to fix in the collection! UNDER MY SKIN was Pearcy’s last solo record before the Ratt reunion and it was a cheap $7 for a used copy so this was a no-brainer, I saved at least $8 compared to a regular priced CD. 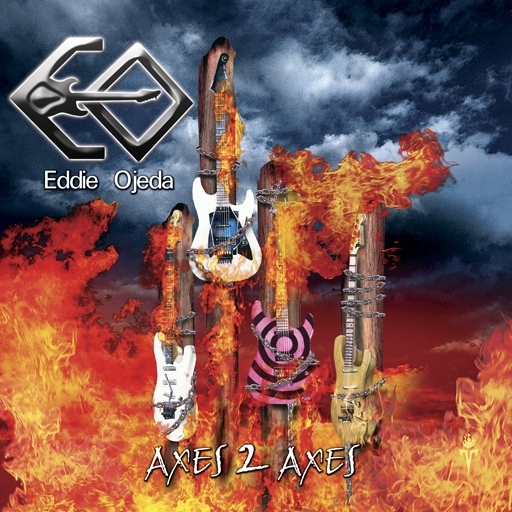 Eddie Ojeda – Axes 2 Axes (2006) – $4: I love a great bargain and that’s exactly what I got with this Eddie Ojeda solo record. Ojeda released this album hot on the heels of Twisted Sister’s success with A TWISTED CHRISTMAS (2006) but I never bothered to grab it because the reviews I read were all bad. There has been a sealed copy of this album at the record store for months at the $16 regular price, somehow this used copy landed right in front of it last week. Saved $12. 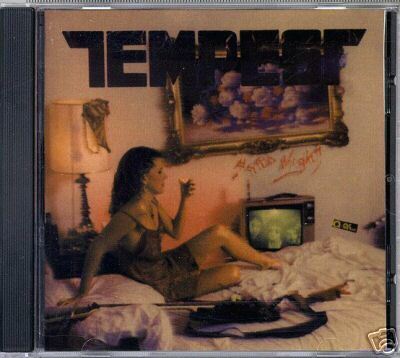 Tempest – Hard Night (1996) – $15: I did an Ebay Madness post that featured this CD way back in mid-October 2007. Back almost three years ago, this CD went for $185.50 on Ebay and it was one of the highest priced indies that I had never even heard about. Who was Tempest? What year was the album recorded? Where are they from? What is the music like? At the beginning of the year, Alan Hicks (Tempest guitarist) got in touch with me about the post and we got to talking about the band and CD. Alan was nice enough to offer me an extra sealed copy of this album for what the band used to charge at shows…..$15. Compared to the $185, Alan saved me $170! I just want to take the time here to thank Alan for the CD and point out his current band Alice Sweet Alice, who have an album that can be downloaded at their website. Thanks again Alan! 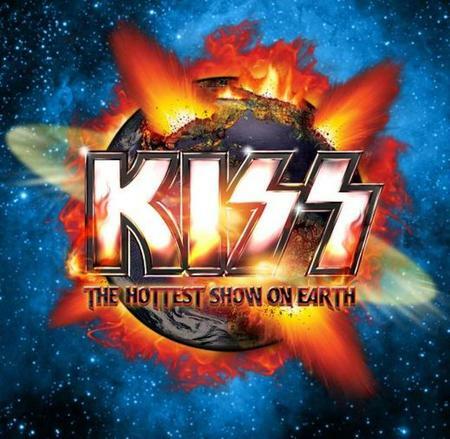 KISS announce North American Summer Tour 2010! Throughout their 37-year career, KISS has sold 80 million albums, played in front of millions of people and become an integral part of American culture. Now, rock’s most iconic band is unleashing another assault on North America with The Hottest Show on Earth tour starting on July 23. KISS will perform such classics as “Detroit Rock City” and “Rock and Roll All Nite” as well as hits that they haven’t played in the US in many years. The Hottest Show on Earth tour, produced by Live Nation, will trek through a mix of arenas and amphitheaters throughout North America. Tickets for shows produced by Live Nation go on sale to the general public in select markets beginning June 4 at LiveNation.com. Citi cardmembers can access presale tickets beginning Wednesday, June 2 at 10 a.m. local time through Citi’s Private Pass Program. For complete presale details visit http://www.citiprivatepass.com/. KISS is also giving back to the United States Armed Forces by donating one dollar from each ticket sold to benefit the Wounded Warriors Project. Dr Pepper is a proud sponsor of the KISS tour and will be offering exciting contests and prizes in tour markets. Watch and listen for the Dr Pepper Cherry and KISS TV and radio spots that will be back on the air in late June. KISS has given some of today’s now-legendary bands their first shot by opening for the band at sold out arenas and stadiums around the world — AC/DC, BON JOVI, RUSH, IRON MAIDEN, JUDAS PRIEST and many others. Now, the legendary rockers are partnering with Guitar Center, the world’s largest musical instrument retailer, for Guitar Center On-Stage, an unsigned band competition that will provide emerging artists the chance to open for KISS at 22 of the band’s tour stops. In addition, Gene Simmons and Paul Stanley will choose one grand-prize winner to receive a $10,000 Guitar Center shopping spree among other prizes. For more information, visit www.GCOnstage.com . Registration begins on June 1. For the first time, KISS will host a live internet chat on Facebook via Ustream on June 1 to give fans an opportunity to speak directly with the band about the tour. Users can watch and interact by visiting the official KISS Facebook page at http://www.facebook.com/KISS. Stay tuned to KISSOnline for information on the exclusive KISS Army Fan Club presale for the tour. Click here to JOIN NOW! * These shows are already on sale. — I will be attending both the 8/7 show in Mansfield, MA and the 8/19 show at Mohegan Sun Casino in CT.
Napoli, May 2010 – The Norse God of Metal. The leader of the renaissance of classic Hard Rock on its highest level. One of the most prolific and sought-after singers of today, whose vocal talent has reserved him a place amongst the greatest giants in the history of Rock. This is Jorn Lande and now he offers his talents to honour the musical legacy of Ronnie James Dio, with his new album aptly entitled “Dio”, to be released on Frontiers Records on July 2nd in Europe and July 27th in the US. 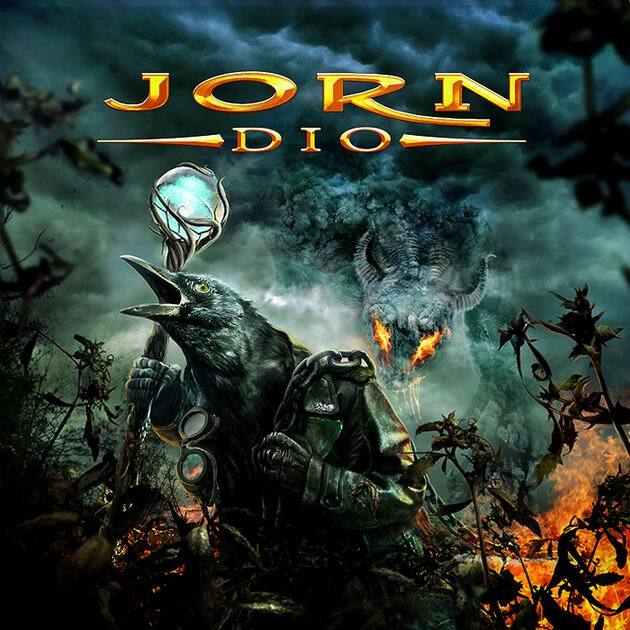 Handpicking some lesser known tunes of the Dio era, along with some of the true classics, Jorn offers a fine collection of songs that present the music of the Man and the Artist, with a unique twist. In Jorn Lande’s own words: “Throughout the years I have had the privilege of both meeting and working with many of the musicians that have inspired me on my musical journey. 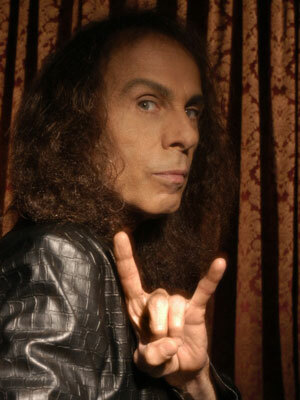 Ronnie James Dio has inspired me through decades, and this man’s influence continues to add colour to my creative spirit. Ever since the first time I heard his royal roar back in the 70’s, I have been fascinated by this extremely talented man’s creative force and dedication to music. His career has been going on for so long and includes so many great songs, that it was a challenge to decide which songs and what era to focus on. I ended up focusing on the DIO era”. The album also includes an original song for which a videoclip, shot by Thomas Tjader (Pretty Maids, In Flames) was produced. Jorn says “I wrote ‘Song for Ronnie James’ as a tribute and a personal thanks to the man who has been my mentor for more than 35 years. This great man has affected my life and career in such a way that without his presence, I would not have become the artist I am today”. Either as front man in German metal act Masterplan, which has achieved great success around the world, or as guest in spectacular projects such as Tobias Sammet’s “Avantasia”, or in the Allen / Lande’s releases, Jorn Lande is today a trademark for quality Hard Rock music. “Dio” is the new chapter in Jorn’s history and a sincere and heartfelt “thank you” to a great and influential Artist. Obviously this dark and powerful concept fits perfectly with the music and the operatic material. One of the latest trends that many female-fronted bands in the Gothic & Symphonic genres use is the over-the-top operatic style like Tarja Turunen (ex-Nightwish) but they take it to the ultimate degree. What I like most about DesDemon is that Mistress Tina doesn’t just go operatic, she sings in a straight up regular style and she adds some harsh extreme vocals as well like Angela Gossow (Arch Enemy). If you take a listen to ‘Iago’, you hear the extreme vocals and I had to go back and double check to see if it was Gossow guesting on the song…..it was all Mistress Tina. I like a diverse vocal and my new concentration on more extreme forms of Metal has made me appreciate these kind of vocals. The music here is perfectly done from the guitars to the rhythm section to the keyboards and orchestration. There is a constant change of styles and pace within each song and three of the songs clock in at 7 minutes and over so there is a definite progressive style added in as well. ‘Iago and ‘In The Abscence Of Light’ are the two epics on the album but the opening ‘Acquiescence Of Illusion’ is a shorter Symphonic Power Metal song and ‘The Burning Matyr’ is a quick Power Metal blast. I like ‘A Soul In Exile’ a lot because it reminds me a lot of The Gathering’s NIGHTTIME BIRDS (1997) musically, it’s more of a ballad with acoustics and piano that build to a climax on the bridge and chorus where the orchestration is fully developed. By the way, great album artwork! Overall, I like THE AWAKENING but it took me more than a few close listens to really grasp hold of all the sounds. The Symphonic/Gothic Metal scene is a crowded one and you have to have that extra piece of the puzzle to standout or you just have to have excellent songs. Obviously, the catalyst here is Mistress Tina’s operatic vocals but it’s when she incorporates different vocal styles is when she truly shines. I thought the growling vocals on ‘Iago’ were genius and I was hoping for a lot more as THE AWAKENING progressed. The music is excellent, it’s a true wall of sound but every instrument is perfectly clear and fits well together…..again, a mixing of styles and genres to complete their ideas. I think DesDemon is a pretty good band and they definitely have a sound worth checking out if you like bands like Epica, Nightwish, The Gathering, and Within Temptation. It’s impossible to express in mere words the relationship Ronnie and I, Wendy and my wife Gloria had. He was much more than a friend, fellow musician, band mate. If I have a soul, then he is part of it. I truly believe God, fate, destiny, whatever it’s called, brought us together again in 2006, after not seeing each other for 14 years, to do one final tour, which turned into 3 major tours and an album. We were having a blast together, enjoying each other’s company more than we had ever done before, talking about maybe doing one more album, when fate intervened again. We were planning on doing a 2 or 3 part North American tour, after having toured South America and Europe in Spring /Summer 2009, but on the first leg of the North American tour, Tony’s hand ligaments were in a bad way, Vinny’s shoulder became dislocated, and Ronnie was having terrible stomach pains. We decided to cut the tour, get healthy, and carry on the following year. Tony and Vinny had successful procedures to fix their ailments, but Ronnie’s stomach pains were worsening. 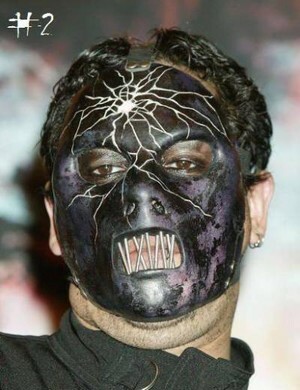 I saw him at the Dio Halloween party, but he wasn’t drinking, unusual for Ronnie who liked his tipple. He was telling me he had made an appointment with a specialist, to see what it was…..
Wendy invited Gloria and I to lunch in Santa Barbara. A few close friends of Ronnie and Wendy, Omar, Simon, Paul, Tim, and Diana, had dropped by. Ronnie had no appetite whatsoever- the disease and the chemotherapy were taking an immense toll. As usual, we talked sports and had a laugh together- it would be the last time. That night, I had a beautiful email from him, that I will treasure forever. I sent him an email saying I’d see him during the following week. Wendy called to say she had taken Ronnie to hospital. The pain had become unbearable. We got to the hospital around 2 p.m. The doctor eventually sedated him. More and more friends were coming to visit- we took it in turns to hold Ronnie’s hand, and whisper our thoughts to him. Wendy wouldn’t leave his side- she stayed curled up on his bed the whole night. Gloria’s assistant, Debi, kept her company. I emailed Tony to prepare him for bad news. There was no mistaking Ronnie’s room. There were around 25 to 30 friends outside his room. We knew the end was imminent. We all wanted to say our goodbyes. It was a day filled with tears and reflection. In the evening, the chaplain came, and we all gathered around Ronnie’s bed and prayed. Ronnie wasn’t going easily. At 11 p.m., most of us left, leaving Wendy her privacy to say her last farewell. The devastation was palpable. 7.46 a.m. As we were preparing to leave for the hospital, Gloria called Wendy to see if she wanted a coffee or any breakfast- she broke the sad news. Ronnie had just passed away. Wendy Dio has been a true saint through all this. She has been with Ronnie every step of the way. Her courage has amazed us all. Even as I write, she is ensuring Ronnie has the finest send off possible. God bless you, Wendel. Most people who were there for those last days chose to keep their thoughts private. I wanted to keep my thoughts private, too, but I’ve been overwhelmed by emails, and requests from the media and fans for comments. I can truly say I’ve never known anyone to have such loyal, loving friends, fans, and family as Ronnie. He really was a special person, blessed with a unique voice and presence. He loved his fans- he would stay meeting and talking to them until the early hours of the morning. One of my fondest memories of him comes from last year, at the Sonisphere Festival,Knebworth. He noticed my sister and her husband at the side of the stage. During our opening song, he took the time to go over and hug them. Just a little thing like that made him special to me. Of course his music will live on forever, as will his influence. I have never seen so many tributes from so many musicians and fans, so many good wishes, no cynicism, just pure love and appreciation for a great man. God bless you Ronald – thank you so much for the wonderful memories. Canadian Rock vocalist Robin Brock is back with her third independent release, MONSTERS, her first album in six years. Being an independent artist can have it’s positives and it’s negatives. One of the biggest positives is that the creative process is not hampered by outside forces like labels and management but one of the biggest negatives is that the same creative process can be too free, too varied and lacking cohesion. Sometimes trying to be too different can destroy an album’s consistency. MONSTERS is an album that is extremely varied and the mix of styles is a blend of Classic Rock, Modern Rock, Alternative, Industrial/Electronica, Pop and even a touch of Progressive Rock. Robin’s voice lends itself more to the Classic Rock style because she has a good mix of subdued Pat Benatar and Heart’s Ann and Nancy Wilson but with a modern edge. What does that actually mean? That Robin Brock can sing and that is the strongest selling point of this album. The only problem I have with the vocals is when effects are put on them like on the Industrial ‘Monsters’ and the modern rock of ‘New Addiction’…..or at least that’s what it sounds like. Robin is definitely at her best singing the ballads like ‘Two Words’ and ‘Solitary Girl’, two of my favorite songs on the album because she can get out of that Rock mindset and just sing. On MONSTERS, Robin teams up again with musician/songwriter/producer John Capek, who has been an integral partner on her last two albums. I’m not really sure if it was planned or not but the lyrics really aren’t that good, maybe a little too simplistic, repetitive and juvenile. I’m not trying to be harsh here because I’ve heard some songs from her previous albums and they seem better written…..audiences, especially Rock & Metal audiences, are looking for well-written songs. Unfortunately, I’m not really hearing anything overly inspiring or catchy that makes me want to listen again. Maybe it’s time to get some fresh blood in on the writing? That said, I think ‘Master And Slave’ is a solid Hard Rock song with a sleazy direction, the two ballads are solid and ‘Warrior’ shows the Prog Rock side of Robin that reminds me a little of Lana Lane. Same thing with ‘Witching Hour’, there’s a serious Prog Rock vibe with a grungy riff that sounds like a CARNIVAL OF SOULS leftover from KISS (one of Robin’s favorite bands!). I gave this album a lot of stereo time because something about it kept pulling me in. The problem was that everytime I would play it I would find myself not really paying attention bercause it was all over the place stylistically. MONSTERS is a tough album for me because it is so varied and tries to be so different that I think the overall sound is compromised. Instead of having a cohesive style for the entire record, it seems like Brock has decided to have a different style for each song. I also think that the songwriting is a little suspect and that is the biggest part of making a record, if you don’t have well-written songs then you don’t have a good album. I would say that MONSTERS is half good and half below average…..but there is promise. The songs that I thought were the best showed that Robin Brock has a lot to offer and her vocals are the best thing on the album.A little more focus on a certain style, a certain musical direction, and I’ll bet that Robin can produce an amazing record. There was enough here to make me check out songs from her previous two CDs and I might check them out with a little extra research. 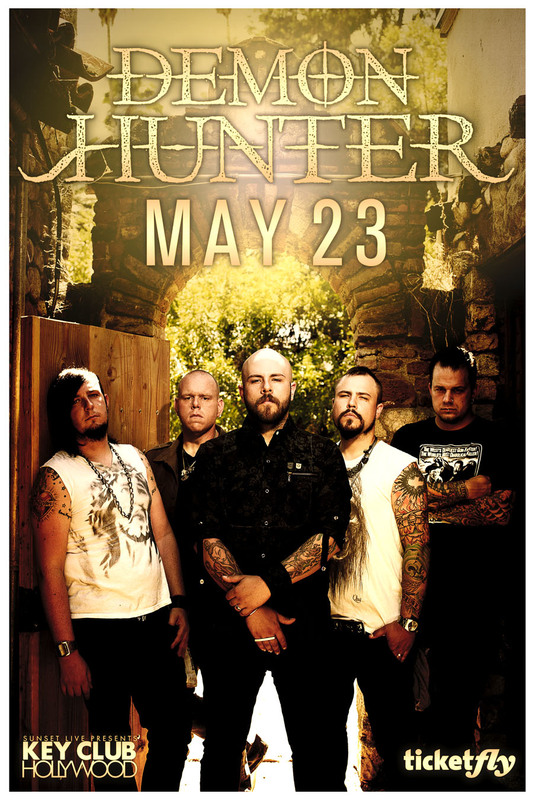 Check out the concert flyer for Demon Hunter live at the Key Club in L.A. For more information & tickets, go to the Key Club website. It’s been a long time since we have had a new Keel record, 12 years have passed since the band’s brief reunion in 1998 for the VI: BACK IN ACTION album. That album was just a bunch of unreleased material, outtakes and demos that the band got together to finish off and release…..not what I call a full reunion. You have to go all the way back to 1989 to the LARGER THAN LIVE album to find new studio material and that was 21 years ago. You would think that the reunion trend started around the KISS reunion in 1996 would have brought a Keel reunion, everyone else got back together! The good news is that the band is together now to celebrate the 25th Anniversary of THE RIGHT TO ROCK album and Keel has given us diehard fans a brand new studio album. So what does Keel 2010 have to offer? A whole helluva lot actually! First off, almost the entire band is back together, the only member not participating is original bassist Kenny Chaisson, replaced by Geno Arce who has played consistently with Ron Keel in Iron Horse. You’ve got the double guitar attack of Brian Jay and Marc Ferrari back together in top form and drummer Dwain Miller back on the skins. Of course, the man himself, Ron Keel is back on the mic (it would be hard to replace the guy that the band is named after!) and he sounds better than ever. That’s no surprise because Ron has been busy with his own career post-Keel with bands like Fair Game, Iron Horse and his solo career which has taken him into the Country Music world as Ronnie Lee Keel. As far as the new album goes, the band has said that they would create an album that didn’t stray too far from their ’80s Hard Rock roots and retain all the classic Keel elements…..that’s the formula that helped them sell over 2 million records over their career. 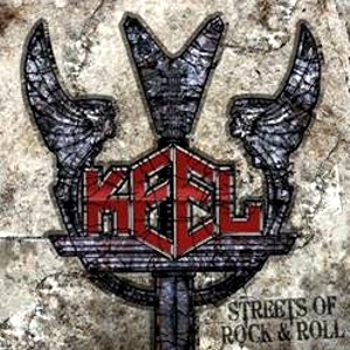 Opening the album is the title track and it’s a clear sign that Keel is following the big sound that they had back in the ’80s, ‘Streets Of Rock & Roll’ is a melodic Hard Rock song with a catchy chorus and big background harmonies. Add the guitar solos in and this throwback starts the record off in style. ‘Hit The Ground Runnin’ has more of a Metal guitar sound from Ferrari and Jay, the main riff almost has a slower Judas Priest quality to it but the song as a whole is another melodic Hard Rock affair with another set of lush harmonies around the chorus. Another hard rocker comes with ‘Come Hell Or High Water’ with fast paced drums and solid riffs but the title and chorus have that “Gene Simmons leftover” feel to it. The chorus sounds like a Gene sung KISS track from the ’80s and the thing that saves the song from being Gene throwaway is the excellent guitar work, that is what gives the track it’s attitude and drive. Moving back into the ’80s style is the AOR/Melodic Rock of ‘Push & Pull’, my favorite of the album. Very catchy song, great melodic riff with a solid hook, if a band like Bon Jovi recorded something like this nowadays it would be a big hit. Keel have a good first single here with ‘Push & Pull’, I hope they release it. Every album needs a ballad and Keel doesn’t disappoint with the beautiful ‘Does Anybody Believe’, a track that will be a concert fave because it’s made for the crowd’s lighters…..or maybe cell phones now that we’re in the 2000s! The song has an acoustic base but the guitars come in and really add some power to it while Ron Keel lays down a solid vocal. This is another favorite for me, a nod to power ballads of 20-25 years ago for sure. The band races back with more solid Hard Rock songs with the uptempo ‘No More Lonely Nights’ and ‘The Devil May Care (But I Don’t)’. ‘No More Lonely Nights’ has some serious guitar work that slices right threw the speakers and the song builds right into the powerful harmonized chorus, Ron really kills it vocally as this is one of his best performances. ‘The Devil May Care’ has an AC/DC sound to it on the guitar tones and main riff with Ron choosing to go a little higher in his delivery, that just shows the guy’s singing voice has only gotten stronger and more versatile as the years have gone by. ‘Lookin’ For A Good Time’ is your typical party rocker but it’s a little subdued and has a little resemblance to the title track. The bite comes back with the gritty guitar groove of ‘Gimme That’, a song that has Whitesnake written all over it. It’s very ‘Still Of The Night’ with it’s start and stop shythm but I’d say this song is a little more stripped down than the Whitesnake song, not as glossy. ‘Hold Steady’ is just that…..steady it’s a good solid track that fills the album in nicely with another melodic rocker. Another standout ’80s arena rocker is ‘Live’ and it’s another favorite of mine. Another melodic anthem with plenty of guitars, harmonies and even some cowbell! You put this on Bon Jovi’s last record and you have a hit, maybe Jon & Ritchie should get Ron Keel to write a few tunes for them? ‘Live’ has “hit single” written all over it! 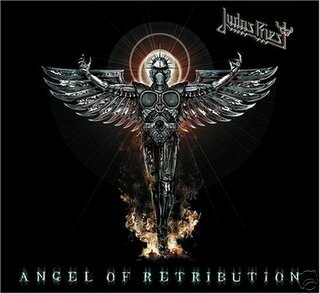 Unfotunately every album must have a last song and ‘Brothers in Blood’ ends this album with a power Hard Rock style. What amazes me on this song, and the album in general, is how easily Ron can move his singing voice from style to style. On ‘Brothers In Blood’, he goes from melodic, to the higher notes, to a grittier/deeper sound and he really puts in a memorable performance. That’s how the entire album is vocally and on the guitar. I have every album Keel has released and it’s easy to say that STREETS OF ROCK & ROLL fits in with classic albums like THE RIGHT TO ROCK (1985), THE FINAL FRONTIER (1986) or KEEL (1987). This album is diverse, powerful and melodic all in one. The songwriting is top notch and the vocals and guitars are Hard Rock perfection while the rhythm section is solid. This a true band performance that fires on all cylinders. A lot of times you get these ’80s bands reuniting and they say they want to record a great album so their reunion is not a nostalgia trip, Keel has gone a step further and crafted an album so good that it’s like they’ve never been away. This is definitely one of the top releases of the year and, if you’re a fan of Keel or ’80s Hard Rock, you should definitely pick up this CD. I like every song on the album, there really isn’t a weak link of filler track. if I had to pick just five songs they would be ‘Streets Of Rock & Roll’, ‘Push & Pull’, ‘Does Anybody Believe’, ‘No More Lonely Nights’ and ‘Live’. This is the brand new Accept video for the first single, ‘Teutonic Terror’, from the upcoming new studio album BLOOD OF THE NATIONS (Nuclear Blast Records). Accept have a new singer, former TT Quick lead singer Mike Tornillo, and the band are moving forward to continue the Accept legacy. BLOOD OF NATIONS now has a tentative North American release date scheduled for September 14th.